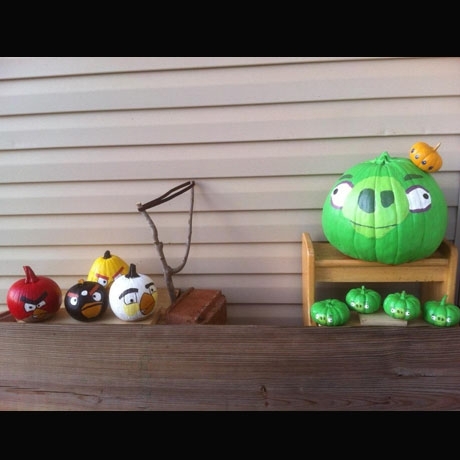 I’m not a games guy, but I’ve found I can waste a lot of time very enjoyably playing Angry Birds – all three versions – on the iPad. Not on the iPhone, mind you – anybody who can do that has tiny fingers and great eyes. But I’ve caught the dang AB bug like millions of others. This image is from a pumpkin carving contest sponsored by TMZ. It doesn’t look like much carving was done to create it, but it’s cool anyway. 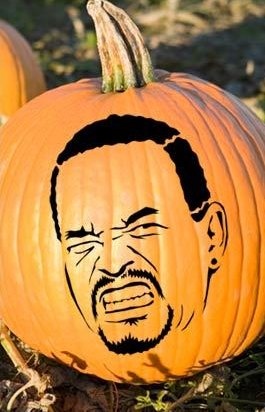 You can also get a stencil at that site so you can carve your jack-o-lantern this year to look like a portrait of Ice-T. Who doesn’t need that?